Our facilities lend themselves perfectly to the breaking and pre-training of horses. The relaxed environment in the yard is the perfect start for young horses, and the team at Plantation Farm have many years of experience breaking-in horses. 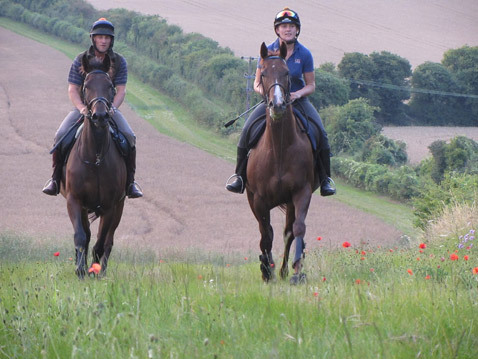 With 2,500 acres of rolling farmland to ride around, an extensive network of farm tracks and easy access to all-weather gallops; we have the perfect facilities for conditioning horses in their pre-training. Please speak to Richard if you would like to discuss sending us your horse.